There have certainly been numerous articles, periodicals, missives, messages, courses and LinkedIn articles about the importance of strong leadership. I myself have blogged that most “challenges” in hospital medicine could likely be solved with strong leadership and adequate staffing. But recently I gave a talk with Sarah Apgar from UCSF on differences in supervision and collaboration. During that talk, we investigated what it means to be a functional “member” of a hospital team. And since that time, I’ve been thinking about the impacts that members have on functionality within hospital medicine. I’ve concluded that members have a greater impact than we give them credit for. The simple fact is that low functioning members – I will describe them in a minute – can really undermine and degrade any attempt at creating a stable team. Warm body with bad attitude: You know this person. 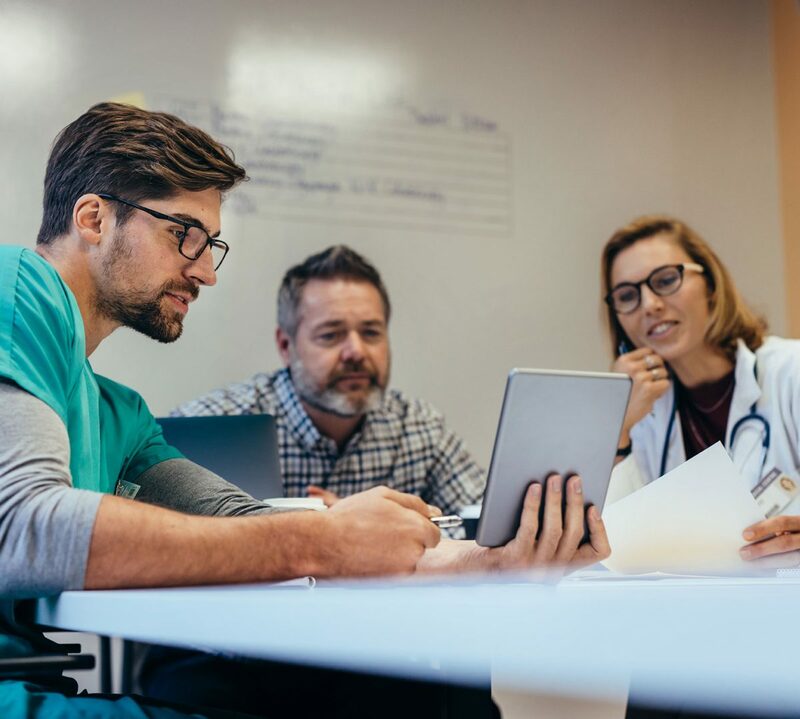 They are clinically competent and show up on time, but they don’t play well with other team members, such as case management. Patients and their families aren’t fans either, and they sew discontent with the hospital, badmouth your policies and any creative problem solving you attempt. But they are a decent clinician! How can we replace them? Friend, if you don’t manage these people, they will get worse and worse. You can’t ignore it and expect the problem to go away. Plus, there is a cost to your program that goes deeper than just having an open position. These bad attitudes will chip away at your program’s reputation until you can’t attract anyone of quality. Actively manage these bad boys and girls. When you hear they have called an ancillary service member a word that rhymes with “witch” within their earshot, you need to have a strong conversation. That day. Strike number two gets them the door. Affable warm body with unreliability: These people are even tougher. They are so nice! Always friendly, smiling, no complaints. Sounds like a dream, right? But they haven’t answered a query in their inbox since Calvin Coolidge was president, and they are three months behind on their billing. When you talk with them, you get a sugar-coated promise that they will improve, but no proof is in the pudding. This type of member requires you to be a steel hand in the velvet glove. Meet with them weekly, and keep the information factual. They are like time share salesman and think if they make you their friend, you will buy what they are selling. Don’t buy! Back of the canoe, and so can you: These are the people who never do anything extra. They are passive, canoe sitters. They sit in the back, don’t hold an oar and never get involved. They don’t come to staff meetings unless threatened with bodily harm. They will never volunteer for any committee. They never come to you with problems or solutions. Their mental mazes are a mystery to you. You think they could be so much more because they are reliable and good clinicians, but how to make them get in the game? This takes some work. What’s underlying this lack of participation? Is it confidence? Apathy? Burnout? Are they shy? Are they worried about gambling debts? You need to go spelunking and soon. This member is particularly susceptible to Type 1 attitudes so get busy. The floor hog: They have an opinion about everything, and it’s usually the opposite of yours. Their role is simply to be a contrarian. They are not looking for solutions; they are looking to be right. And if you don’t manage them and give them positive and productive things to do, the rest of your team will look to them as the new captain of SS Bounty! Wrangle this baby, and don’t delay. Put him or her in charge of an initiative with a defined and positive parameter. Give them an opportunity to be “right,” but make sure they use their powers for good. If they take a toe over the line, come down on them one on one with your disappointment. Tell them you counted on them to help not hinder. When actively managed they can turn into a great asset. Left to stew in their juices they will turn into the corrosive Kool-Aid that everyone will drink. Finally, take a look at yourself. Do these descriptions fit who you are being at any particular time? We all have moments when we feel rebellious or angry or passive or lazy. We learn how to compensate for these qualities – sometimes in positive ways, and sometimes in negative ways. Be a good team member. Figure out where your tendencies lie, and do a bit of self-management. Your whole group will improve. It starts with you. Tracy Cardin, ACNP-BC, SFHM is currently the Vice President, Advanced Practice Providers, at Sound Physicians and serves on SHM’s Board of Directors as its secretary. Prior to this, she was the Associate Director of Clinical Integration at Adfinitas Health, the Director of NP/PA Services for the University of Chicago and worked in private practice for a group of excellent pulmonologists/intensivists for over a decade. She has been a member of SHM for over ten years and has over twenty years of inpatient experience, which seems incredible as she cannot possibly be that old! Her interests include integration of NP/PA providers into hospital medicine groups and communication in difficult situations. In her free time, she likes to run and lift, read and write and hang out on the front porch of her semi-restored Victorian house with her dear family and friends while drinking a fine glass of red wine and listening to whatever music suits her whimsy.